The suit follows Jenkins’ and Armstead’s appointment to the court by Gov. 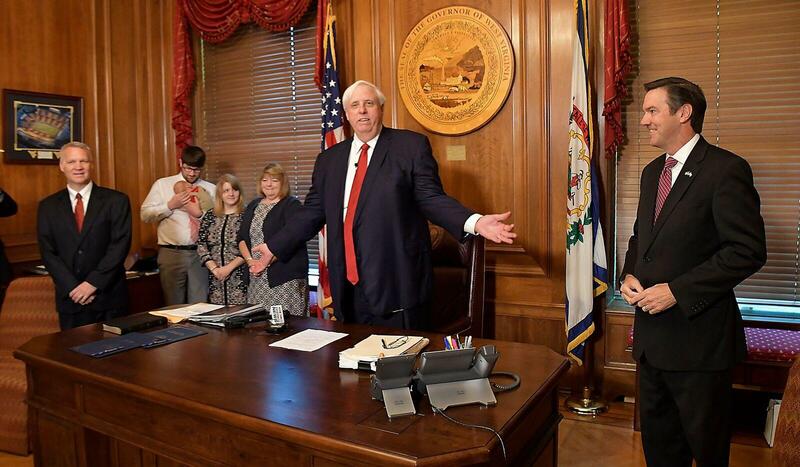 Jim Justice last month. The two high-profile Republicans were appointed to temporarily sit on the bench after Justices Menis Ketchum and Robin Davis, both elected to the court as Democrats, resigned. Both justices quit in the wake of a nearly year-long scandal surrounding the court that continues with looming impeachment trials. The remainder of those respective terms will be filled by a special election in November. Schwartz, citing the state constitution, argues Jenkins is ineligible to be appointed or elected. West Virginia law states that a person must be permitted to practice law for ten years prior to being elected. Jenkins' law license was inactive from 2014 until last month. Armstead’s appointment is challenged because Schwartz says the former House Speaker's vote on the impeachment resolution helped create vacancies on the court, which would put the appointment in violation of the state constitution's emoluments clause.